More reasons to #LoveSnR this September! How do you deal with anticipation when the day that you’ve been looking forward to, for whatever reason, is finally within reach? I don’t know about you, but I almost couldn’t sleep thinking about it. Oh yeah, sometimes it feels like the time is ticking slowly. It’s unbelievable! Then, I would realize it’s because I have been counting every second down. You can only imagine how much and restless I would talk about my exhilaration. Well, that’s what I’m up to nowadays. I have been waiting for this. “Excited” is an understatement. I am thrilled, elated and ecstatic! Yes, something amazing is about to happen so I suggest you stay tuned. Fifth Rack Fashion and Lifestyle Concept Store! HOUSEHOLD NEEDS? NO PROBLEM WITH DIRTY JOBS! CUTE THINGS YOU CAN FIND AT TICKLES SM MEGAMALL! 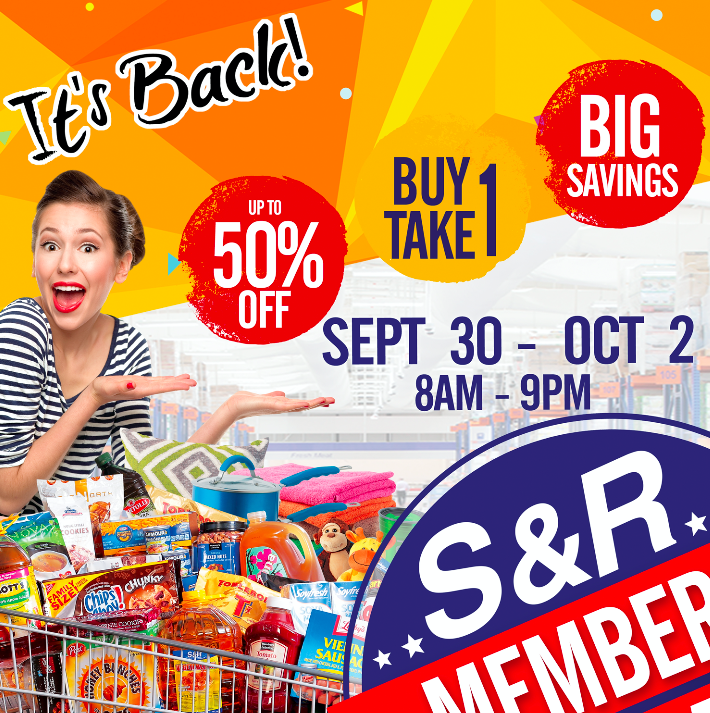 My S&R Member's Treat Sale Wishlist! Get paid to shop online with Shopback!